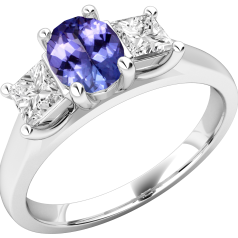 We offer a selection of Tanzanite – Diamond Rings; in our collection you can find Three Stone Tanzanite Diamond Rings, Tanzanite – Diamond Cluster Rings, and Tanzanite – Diamond Dress Cocktail Rings set with round, octagon, emerald cut or oval shape tanzanite. 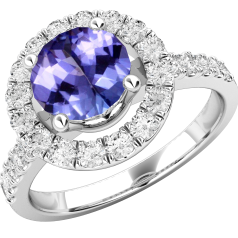 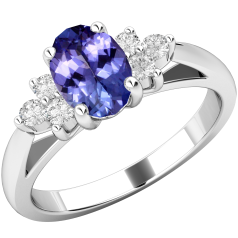 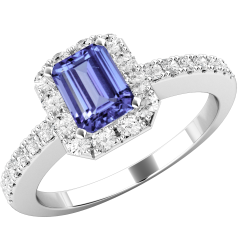 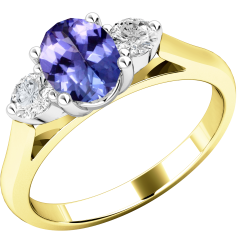 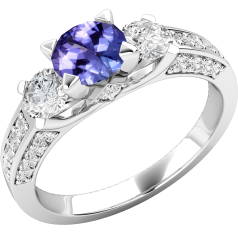 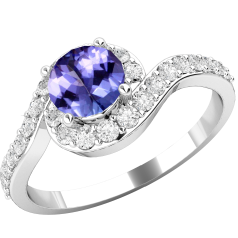 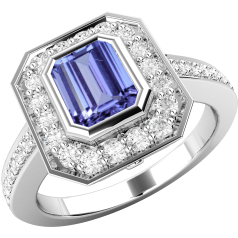 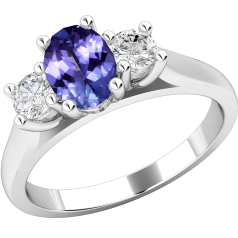 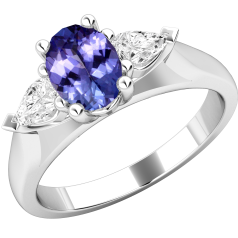 Our designs vary from contemporary to vintage style Tanzanite – Diamond Rings. 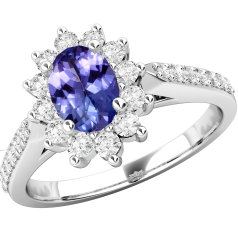 Tanzanite is considered calming and it is believed to bring harmony and understanding. In 2002 Tanzanite was chosen as the birthstone of the month of December. 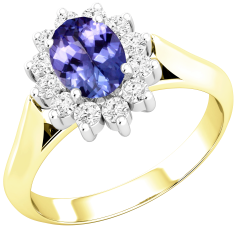 A Tanzanite – Diamond Ring can be a unique and unexpected birthday gift in the festive season dominated by reds and greens. 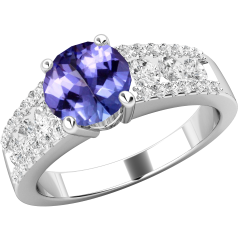 The combination of the beautiful blue-violet tanzanite with sparkling diamonds creates a Tanzanite – Diamond ring that is dazzling enough to be worn in the evening, yet in the same time it is also a classic piece, appropriate for day-time wear.